Albertson won't return until the outdoor season after an injury at A1. Comment: Travis broke his middle finger in half and lacerated his index finger open. He’s healed up and has been released by his doctor and plans on riding next week. Comment: Barcia has two broken bones in his wrist but plans on riding the rest of the SX series with a protective brace. 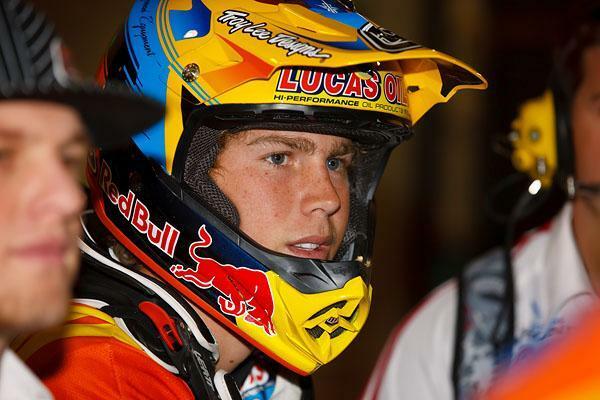 Comment: Fractured his femur, L4 and L5 vertebrae in a practice crash at Anaheim II. Please visit the link to below to view a video from Daniel, where he explains his crash, his injuries and his future. http://vimeo.com/20306553. Also, a PayPal account has been set up to help Daniel and his family. If you are in a position to donate, please click HERE. Comment: Tore the patella tendon from the bone and had surgery to reattach. He was recently released by his doctor and is going to start riding next week. Baker plans to start riding next week and make his return at Seattle. Comment: Broke a bone in his foot after colliding with Dean Wilson in their heat race in Houston. According to his Twitter updates, he’s very excited to start riding on Monday and is hoping to race in Jacksonville. Comment: Sprained his ankle in Daytona but he has recovered and is racing Indy. 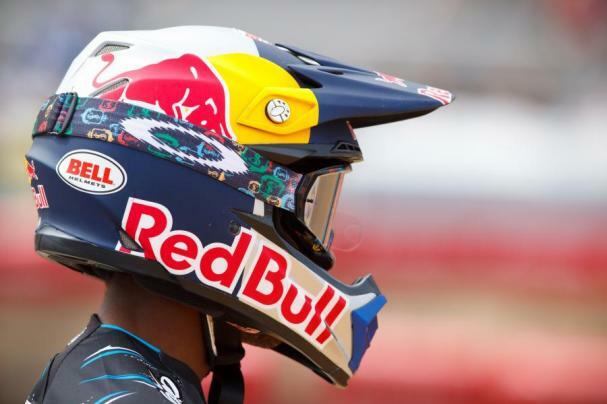 Comment: Bruised ribs and tore cartilage in his thoracic cage in a crash in Atlanta. According to his team manager, he’s expected to return in Jacksonville. Comment: Crashed during the first practice session at Anaheim 1 and landed on his back, which resulted in a compression fracture of his T-5 vertebra. He just started riding this past week but still no word on when he’ll be lining up behind a starting gate. After a few hard crashes in back to back weeks, Metcalfe is taking the week off to heal. 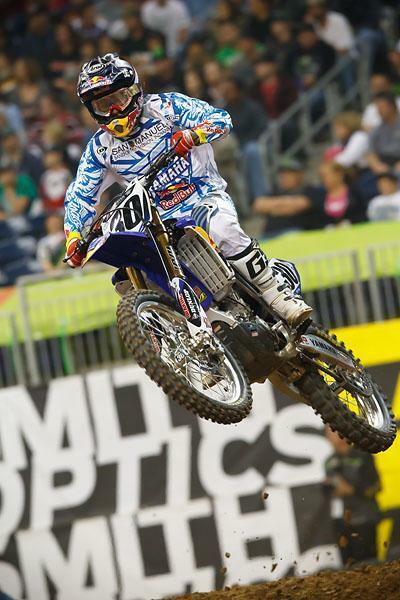 Comment: Injured his wrist while practicing in Florida the week prior to the Daytona Supercross. A medical evaluation revealed broken bones in his wrist, including the scaphoid bone, and it is expected that he’ll be out the remainder of the supercross season. 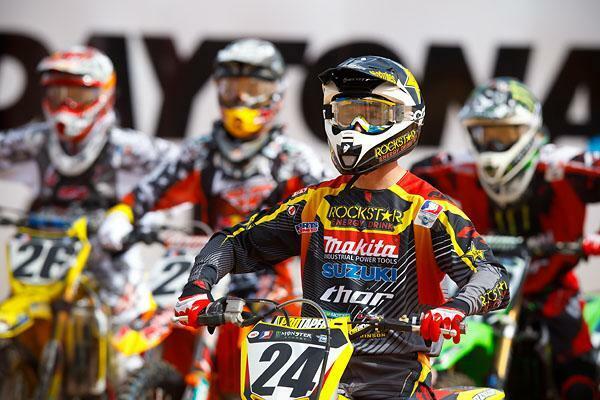 Regal is out for the rest of the supercross series after breaking his wrist last week. Comment: James tweeted earlier this week that he’s a little sore after his crash in Daytona, but he’s fine and ready to go for Indy. Comment: According to his team manager, Austin had a nasty crash at Milestone the Tuesday prior to the Atlanta SX and sprained his right ankle. Initially it was thought to be broken, but it turned out to just be severely bruised and swollen. 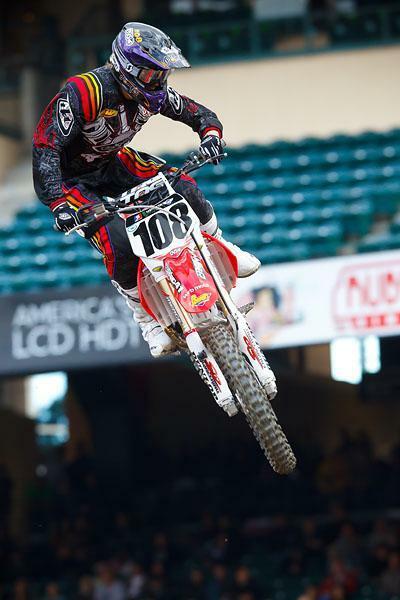 He will sit out Daytona and Indy and will hopefully be back for the Jacksonville SX on March 19. Stewart is bruised but not broken after a nasty crash at Daytona. Comment: Ian crashed in practice at Daytona and suffered a head injury. According to a team press release issued Thursday, the accident caused bleeding as well as swelling in his brain and both have been stabilized with medical and surgical interventions. At this time, Ian remains in critical condition, but he is now stable and we expect his condition to improve from this point forward. Comment: Started riding recently but no official word on when he’ll return to action.